The OOSA Bodega is LIVE!!! You may have heard me talking about the OOSA Bodega a little bit. It's an online shop where all of the OOSA artists have unique print-on-demand T-shirts for sale. The artists have complete control over all aspects of the design process and they will also be receiving all of the profits after the costs are covered. And since this is a print-on-demand process, the artists can add new designs to their stores whenever they feel like it and avoid the large up-front costs, color limitations and inventory issues that come with screen printed shirts. It’s a win-win situation for the artists and the fans of their work! Alexis Ziritt (who also runs Fistful Apparel) will be at the helm managing production and overseeing quality control, so I know these shirts will be nothing but top-notch. I think we're breaking some new ground here and I'm really proud of all of the work and support that Alexis and the other OOSA artists have given this innovative project. And after a slight delay due to technical reasons, the OOSA Bodega is now open!!! To start things off, Greg Ruth and Alexis Ziritt have some designs up in their shops for you to choose from. In time, all of the OOSA artists will have designs up as well. We'll be sure to let you know when new shirts are available. Go check it out! Cincy ComiCon and SPX: Two FANTASTIC Shows! September has been pretty amazing as far as comic shows go. First, I went with Alexis Ziritt to the Cincy ComiCon. It was the con's inaugural show, but you never would have known it. The organizers were well...uh, organized (duh) and the volunteers were super attentive to the exhibitors and attendees. You could really tell that they had put a lot of thought into the show based on past experiences (good and bad) they had either as guests, exhibitors, or attendees themselves. It was a 3-day convention, which is a big undertaking for your first time putting on a show. Friday was only open to "VIP" guests who supported the kickstarter campaign and it was only open for about 4 hours. It was a soft opening with a small crowd. This might not have been to good for some of the exhibitors, but this is the type of thing that comics enthusiasts and collectors love. A first crack at getting the best stuff. I expect word will get out and this will be a more utilized option in the following years. Saturday and Sunday were more typical of what you'd expect attendance-wise with Saturday actually getting pretty crowded. On the social/activity side, the con offered a drink and draw event at The Hall of Justice's museum Friday night and an art auction on Saturday night. Both were a good time. The D&D at the museum was a nice environment to hold the event. Lots of interesting stuff to look at in between conversations and lots of little areas to hang out and chat. It was also spread out so you didn't have to yell to be heard or strain to hear over crowd noise. The auction was a small, but active group. The auctioneer and host (Kara Moore) kept things moving at a good pace so you weren't "stuck" there all night. This is important if you want to bid on one of the items that comes at the end of the night. There were quality pieces available in the auction from some big name artists, too. The prices were good with a real steal or two, as well. Again, once word gets out about the auction in the collector community, this event will only get better. I had a good time and got to meet a bunch of new people. I look forward to going back again next year's show (for which they have already booked a larger space). So after hosting Alexis at my house for a few days, we trekked up to Bethesda, MD to meet Toby Cypress, Andrew MacLean and his wife Erin for SPX. None of us had ever exhibited at SPX before, and I was the only one who had ever even been to the show (once last year). I was a little worried on how OOSA would be received since we do more of what might be considered "mainstream" type comics. I felt we might be kind of atypical for the show and thusly looked over. In actuality, that couldn't have been further from the fact. Everyone was fantastic! Lots of people were aware of Andrew, Alexis and Toby's work already and even those who weren't gave their stuff a good look. Our location in the corner was great, too. I was a little concerned about being out of the main thoroughfare and how that might affect our traffic (and sales), but we had lots of space for us behind the tables and it turned out the space provided a nice relaxing area for the attendees to get out of the crowded pathways and have an unhurried look and a nice chat with the artists. We all had a great show and sold lots of books, prints and shirts. Liz Suburbia was sitting with Kevin Czap at the show, but came over to visit a few times. She got to meet the other OOSA artists and take a break from the crowds. It made me happy to have the group together, but it made me wish the rest of the OOSA artists could be there too. Maybe next year. It was a great time outside of the expo's business hours as well. It's always great to catch up with folks that I only get to see a couple of times a year, meet new and interesting people, and rub elbows with comics all-stars. I could do some major name-dropping... but I won't. I'll just say I was in amazing company all weekend long. But that's SPX in a nutshell i guess, isn't it? So, thanks to everyone that came to see us at CIncy ComiCon and SPX. And if you took the time to check out our stuff or talk with us about whatever, it is certainly appreciated. I know I enjoyed every minute of it. Win Tickets to See Mastodon at The Orange Peel! 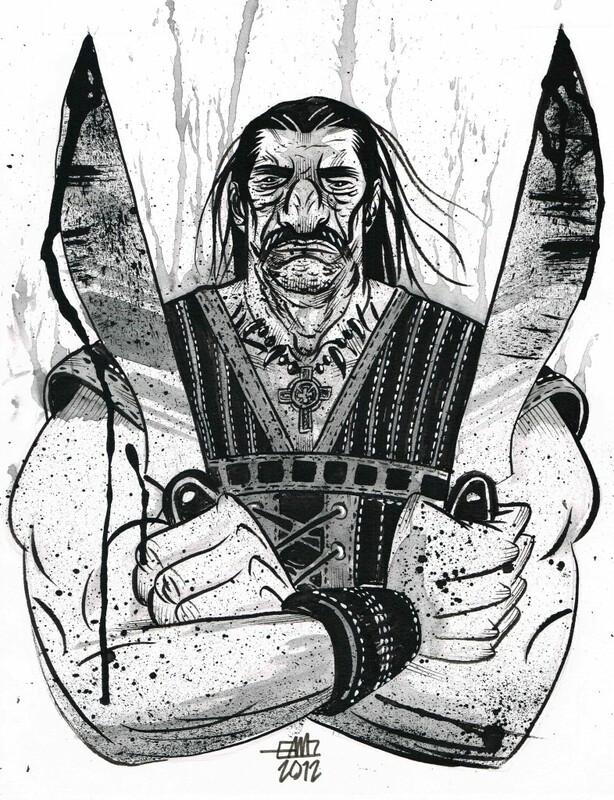 OOSA artist Alexis Ziritt has worked in comics (Mekano Turbo, The Package) and has provided illustrations for several publications (WWE Magazine, Complex) and companies (Patagonia, The Levitation Project). Recently, Alexis was asked to design the summer tour shirt for the band MASTODON. To celebrate this conglomeration of awesomeness, OOSA is going to give away two tickets to see Mastodon (along with opening acts ASG and US Christmas) at the Orange Peel in Asheville, NC on August 14th. Remember: these two tickets are only for the Mastodon show at the Orange Peel in Asheville, NC on August 14th. If you can't make it to that show, there is no need for you to enter the contest. Please visit the Orange Peel website for specific information about the venue and the show itself. Also, be sure to check out Alexis' work here on the OOSA site, as well as at his personal site: www.aziritt.net. With new work coming out and convention season coming up, some of the OOSA artists are looking to get rid of some of their art that's been in the store for a while. Paul Maybury has put all of his work at half off! Toby Cypress has his Blue Estate pages for only $60! Alexis Ziritt has everything listed at less than $90! Some good deals to be had, people. Don't miss out! I'm sure you all know about the Brand New Nostalgia art blog, right? Started by OOSA'a own Andrew MacLean and featuring OOSA artists Logan Faerber and Alexis Ziritt (along with a ton of other talented artists), BNN puts out amazing art every week online. Now, they are taking it to the next level and producing their first anthology: kaBOOMbox Vol. 1. To get this accomplished, the folks behind BNN have started a Kickstarter campaign to help raise the $9500 to print the book and they need you to back this project! There are some great incentives available to those who do. Check 'em out and make a contribution! And if you are on the fence about it, just read this write-up about kaBOOMbox and BNN on ComicsAlliance.com. Or this one here by Robot6 on ComicBookResources.com. Or this Interview with Andrew MacLean on FreakinAwesomeNetwork.net. This book is going to be a big deal and I'm so proud to have Out of Step Arts associated with it. The OOSA artists have a lot going this month. Take a look! September 7th Alexis, Andrew, Logan, Greg, Toby and Paul (along with a bunch of other great indie artists) will all have work in this show and it's all for sale. I'll be there for the opening selling OOSA prints and maybe Anniversary Print Sets. If you're in Richmond, VA, you should definitely come by and say hello. Alexis, Andrew and Logan will participating in the "Battles Without Honor and Humanity" group show at Floating World Comics in Portland, OR. 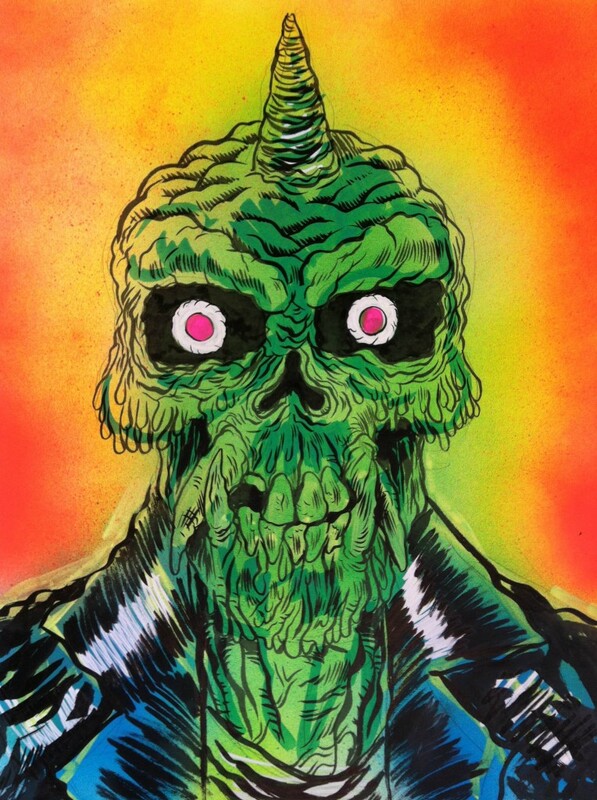 Alexis Ziritt is gearing up for his appearance at the Cincinnati Comic Expo later this month so he is offering a special commission rate to help him make the trip. You can get a 9x12 inked commission for only $50 ONLY $40 for a limited time! 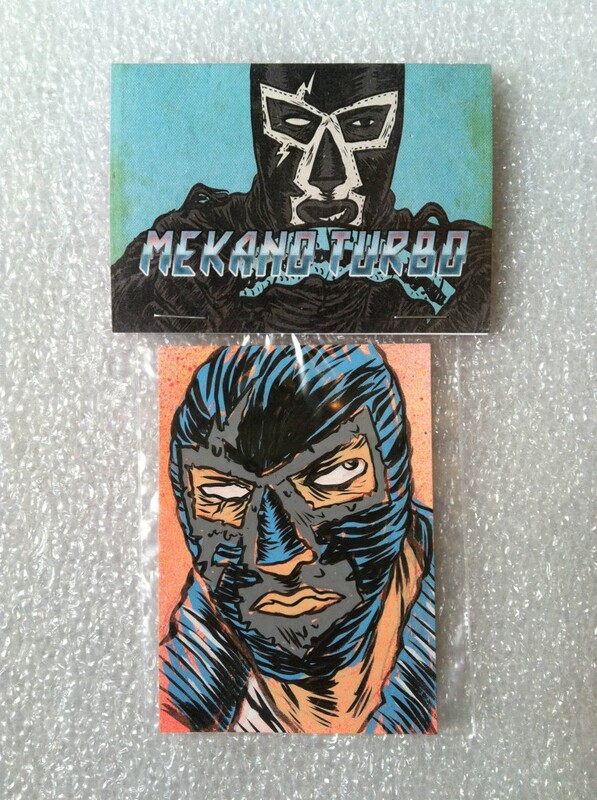 And if that's not enough, you'll also get a free color sketch card (artist's choice). If you want to take advantage of this great deal, just get in touch with either me, or Alexis directly, and we'll get you set up. A while ago, I had asked the OOSA artists to team up to create some one-of-a-kind prints to showcase the talent at Out of Step Arts. If you'll recall, Greg Ruth and Logan Faerber did an amazing job on their print that was debuted at Spectrum LIVE! last month. Well now, the other prints are ready to be revealed and will be debuted at Heroes Con next week. Andrew MacLean and Toby Cypress worked together to create a futuristic world where the ladies rule the road. Alexis Ziritt and Paul Maybury teamed up on this ultimate team-up comic cover: "Unknown World". We'll have all of these prints, along with the original art, for sale at the OOSA tables in Indie Island (522-527). 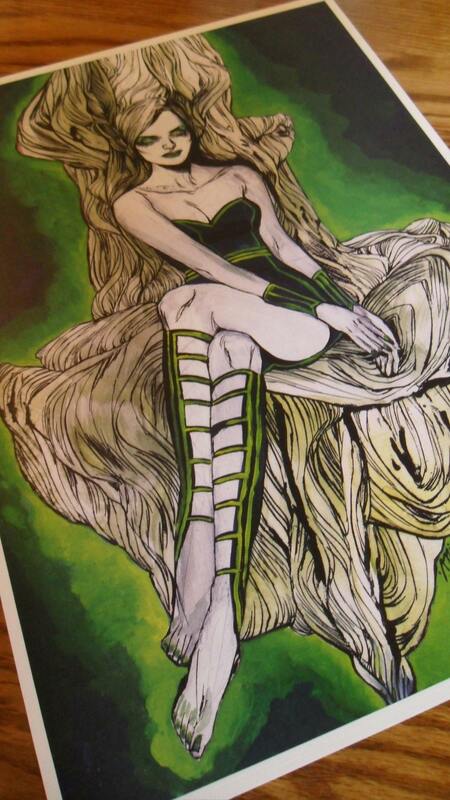 The prints are 4 color inks on 11 x 17 100 lb "silk" paper and only cost $10 each or $25 for all 3! Supplies are limited, though, so swing by early if you want 'em. You can also have your pick of one the prints if you donate at least $20 to the Hairy Cell Leukemia Research Foundation AND run in the Heroes Con Fun Run Saturday morning. I could not be more proud to be offering these, so I hope you'll come by and check them out. The Heroes Con map with table locations is now available (here) and I could not be more pleased with where the OOSA artists ended up: Right in the middle of Indie Island surrounded by some serious talent. Look at this list of people in our block! EVAN DORKIN | AA-517 Beasts of Burden, Milk & Cheese, Bill & Ted’s Excellent Comic Book, Dork! And what’s even better, my friend and proprietor of AdHouse, Chris Pitzer, will be right across from us so I can throw things at him. So come by and see us June 22-24th. All of the OOSA artists will be chatting, sketching and selling their art and wares. And since we're all together, we might try to do some live art or other such fun stuff. If you're interested, let me know or feel free to contact them directly. For samples, check out some the new work they put up in the store. It should give you a pretty good idea of what they're offering. Keep your eyes peeled for more art and news from other OOSA artists in the weeks leading up to Heroes Con next month. I'm sure you all are aware of the OOSA store by now, right? The artists have a great sampling of some of their work available for sale there. I try to encourage the artists to send me new work to list there every once in a while so there are new choices for people looking to buy something. In fact, Alexis Ziritt just put up a bunch of new stuff so he can pay to replace his recently deceased computer and make his way to some conventions (Spectrum and Heroes Con) this summer. But, did you know that pretty much all of the artists have more work available for sale than what's listed in the store? Paul Maybury, for example, has pretty much every page from every project he's ever worked on and he's looking to find it a new home so he can cover some recent unexpected expenses. Andrew, Logan, Toby and Greg, I'm sure, all have stuff they'd love to sell, too, that's not listed in the store. So how do you get your hands on all of this unlisted stuff? Just ask! If there is a specific page or an image you've seen from any of the OOSA artists that you want to own, just get in touch with me and I'll check and see if it's available. The worst I can say is "Sorry, it's already sold." And if you're looking for something really specific, several of the OOSA artists are open for commissions right now and would be happy to draw you whatever you're looking for. Alexis Ziritt, Greg Ruth, Original Art, Paul Maybury, SALE! That’s right, the end of March marks the end of Paul Maybury’s 1/2 off sale. We are also going to be taking down Greg Ruth’s Secret Journeys of Jack London art at the end of the month, as well. If you were waiting around, hemming and hawing, time is just about up! Go to the OOSA store before it’s too late! Stay tuned, though, because we are going to be announcing a sale on Alexis Ziritt's art soon. A big week at OOSA: Sales and a new artist! There is a lot going on at Out of Step Arts this week. Let's break it down. First thing, PAUL MAYBURY is going to be having a huge sale starting on Friday. Not only is he adding new art to the OOSA store, but he's also listing all of his art half off!!! And if that's not enough, he'll also be offering single character commissions for only $50. The sale won't last for long, though. Just 2 weeks. Paul has had a run of bad luck with machines lately and needs to cover some expenses. So, look for the price changes to happen on Friday and act fast! I have a feeling things will sell out quickly. 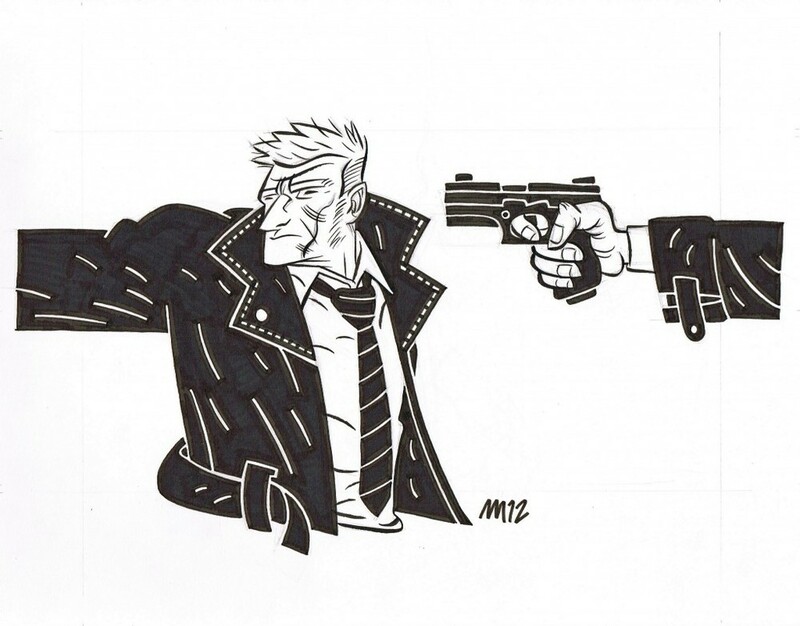 Speaking of price changes, ALEXIS ZIRITT has reduced his commission prices to $60 for 11x17 inked pieces and $100 for 11x17 watercolor pieces. If you were waiting for a reason to get something from him, there it is. 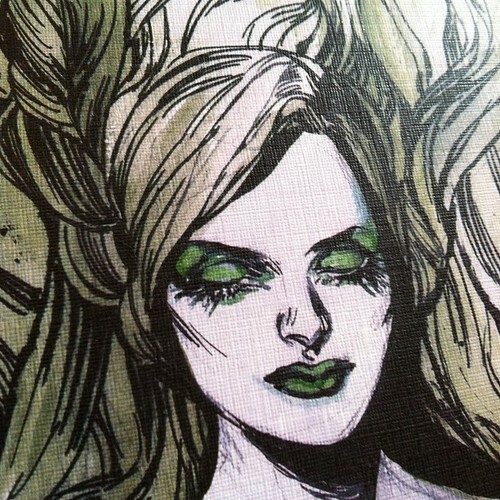 Expect to see some new art from Alexis in the store soon, as well. TOBY CYPRESS has just added some copies of his graphic novel Rodd Racer in the store for just $5 (plus $3 for shipping)! These are the out-of-print and hard to find PunkRock Jazz Publishing versions with the B/W pages. Each copy comes with an original sketch by Toby in it, too. And finally, we're adding a new artist to the OOSA crew!!! Who is it, you ask? Well, our good friends at Heroes Aren't Hard to Find are going to help us make the announcement on their Heroes Con blog this week, so be sure you are either on their mailing list, or are following them on Twitter or Facebook so you are one of the first to know. First of all, I wanted to let you know that I have updated the store to include new art by Andrew MacLean and Alexis Ziritt. It's great stuff available at even better prices, so please go take a look. While your there, take a look at Toby Cypress' and Greg Ruth's work, too. Alright, now lets talk about some other things. Commissions Currently, Alexis and Andrew are open for commissions. Andrew is asking $50 for 11 x 14 inked single characters and $75 for 11 x 17 inked pieces with background or more than one character. Alexis is asking $80 for 11 x 17 inked pieces and $130 for 11 x 17 watercolor pieces. If you want something more complex from either artists, prices can be negotiated on an individual basis. Payments Did you know that you can make payments on a lot of what we have in the store? It's true! If you're eyeing something, but don't have the cash in hand, just email me and we'll see what we can work out. Looking for something specific? Do you want a certain page/panel from one of these guys, but don't see it in the store? Just ask me about it. I'm happy to contact the artist to see if it's available. I've helped make quite a few sales this way, in fact. The Out of Step Arts store is not supposed to be just a storefront; it's meant to be an interactive way to buy what you want from the OOSA artists. Have a question? Ask me. Need something? Tell me what you're looking for. I'm here to help. Sunday, Sunday, Sunday!!! I'm going to be listing new art in the store from Alexis, Toby and Greg at 3pm EST on Sunday. Here's what you can expect to see from each artist. 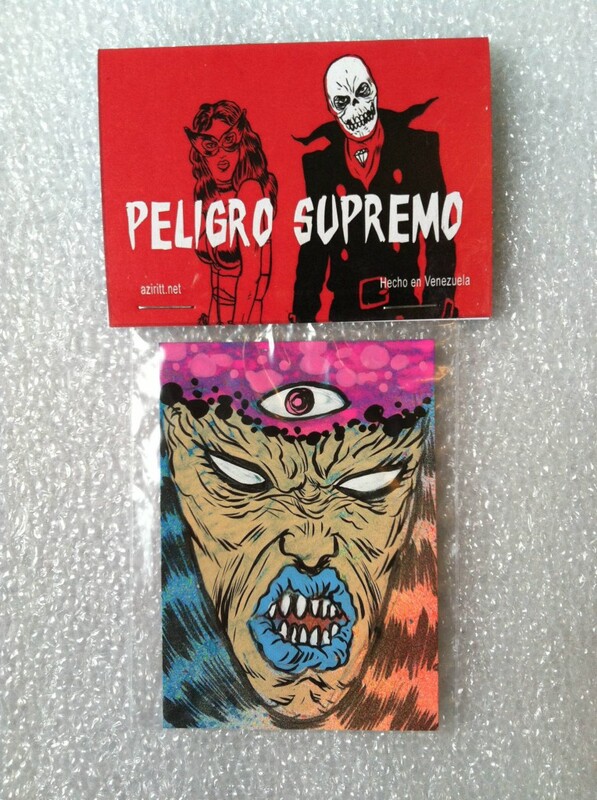 Alexis will be putting up the pages from his Tijuana Bible Peligro Supremo that he made for last year's Heroes Con. Toby will have a couple of pages from his online comic KURSK, a beautiful splash page from RODD RACER, and an acrylic painting that everyone will be buzzing about. Greg is listing the last of his 52 WEEKS pieces and the Out of Step Arts store will be the only place you will be able to get what's left. And to celebrate the release of his art book "The 52 WEEKS PROJECT: Volume 1", Greg will be giving away a free signed copy of the book to the first three people to order one of these pieces! So, stay tuned folks, and remember: 3pm EST on Sunday. It's been a while since I've posted any new news here on the site, but there has been a lot happening behind the scenes. In the mean time, here is a little update on what the guys are up to. Alexis Ziritt is a busy guy between family, work and art. He's been knocking out pages for The Package graphic novel and doing the occasional doodle when he can. (You all saw the Jonah Hex he did, right?) Alexis has also teamed up with a super-talented bunch of guys to start a sketch blog. Things are still coming together on that, but you can keep an eye on Brand New Nostalgia either on Deviant Art or Tumblr (coming soon). And I know you all have been waiting patiently, but I should have some of Alexis' art up for sale in the store soon. Toby Cypress is also a really busy guy. He's been up to his eyeballs in deadlines for Blue Estate. Fortunately, he took the time to send me some work to put in the store. It should be up ether the end of this week or the beginning of next week. It's amazing stuff and I expect if to go quickly so be ready. Also, look for more work on Kursk to be online soon. Greg Ruth will be making an appearance this weekend if you'd like a chance to pick up some art or talk to the man in person about his projects. Where you ask? Why, in his front yard! He and his wife (who makes lovely jewelry) will be taking part of the Ashfield Fall Festival in Ashfield, Massachusetts. If you're within driving distance and are looking for a get-away, this should be a fun thing to do. If you can't make the trek, Greg will be sending me some more art for the store soon. Alexis has been busy working on the art for his book The Package, but he took some time to knock out some amazing Jonah Hex covers for the DC Fifty-TOO blog. Click here to see the alternate "incentive" cover and read a little more about the two pieces. And don't forget that Alexis is open for commissions. Check out his profile for rates.